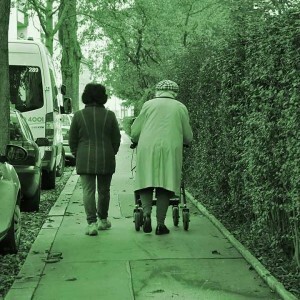 Walking is the first thing an infant wants to do and the last thing an old person wants to give up. Walking is the exercise that does not need a gym. It is the prescription without medicine, the weight control without diet, and the cosmetic that can’t be found in a chemist. It is the tranquilliser without a pill, the therapy without a psychoanalyst, and the holiday that does not cost a penny. What’s more, it does not pollute, consumes few natural resources and is highly efficient. Walking is convenient, it needs no special equipment, is self-regulating and inherently safe. Walking is as natural as breathing. 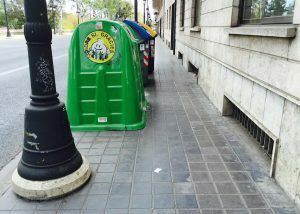 Arquitectúria is a non profit association which boosts city improvement, it has also asked which has asked Valencia’s major to sign The International Charter for Walking. It also believes in adopting particular measures to identify pedestrian needs and create a shared framework to help authorities in turning public policies, activities and relationships for creating a new culture from which people chooses walking as Walk21 proposes. 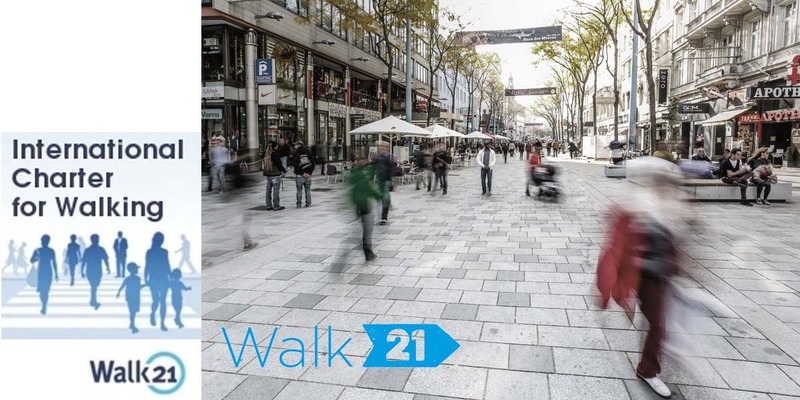 Walk21 is a non profit association founded in 1999 which promotes the improvement of our street conditions, public spaces and urban mobility systems engaged with people high quality urban living standards. That means keep high air quality, low traffic noise levels, shade trees, green cover, public spaces for people thought for everyone and in special attention to children and elderly people. 1 The more people walk, the more car reduction we get and lower emissions produced by motor traffic. Accordingly, the air we breathe is cleaner, less space is occupied by vehicles and noise level gets lower. 2 People activate their blood circulation improving their health, it is recommended to do brisk walking of least 30min a day, if it is also a nice and pleasant experience will spread, kind and healthy citizens will start being more numerous. Walking is already the most preferred modal way used in Valencia for urban trips according to SUMP 2013 (Sustainable Mobility Urban Plan). 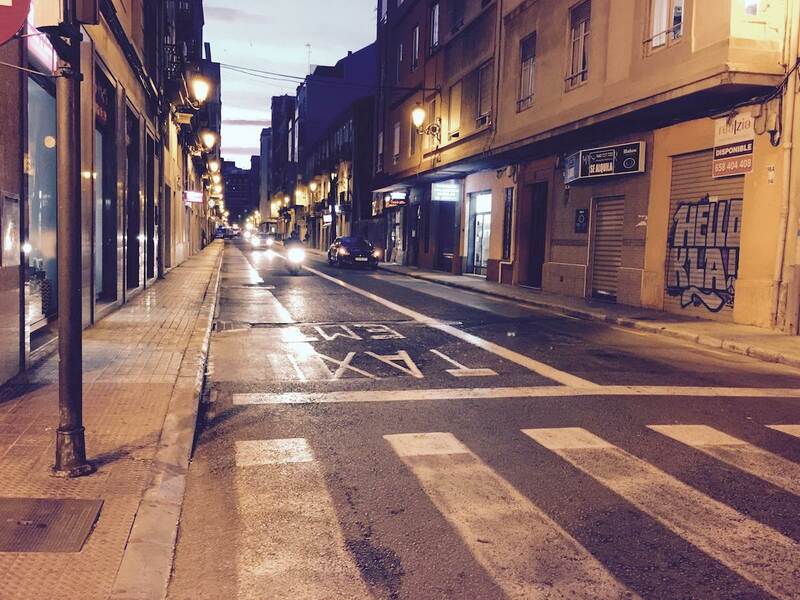 Valencia is a dense city, which converts it in the smartest mode of urban transportation. 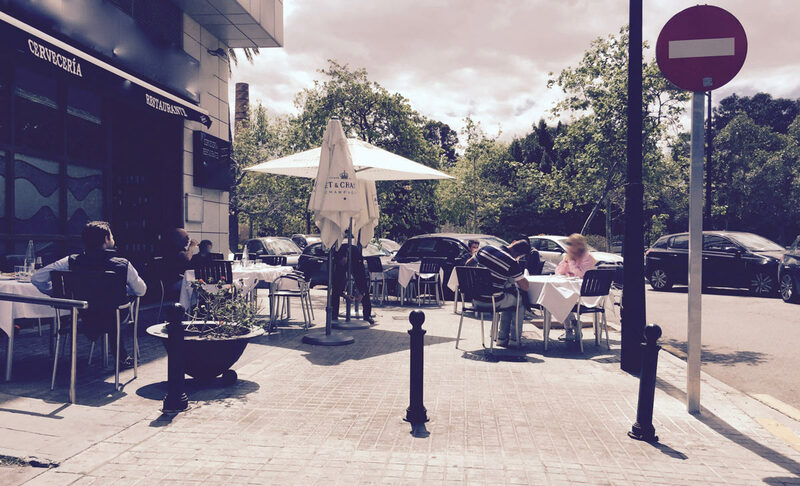 Its inner city is crossed walking in just 10 minutes, from which you can reach orchard fields in 20 minutes and strolling will reach the beach in 30 minutes. 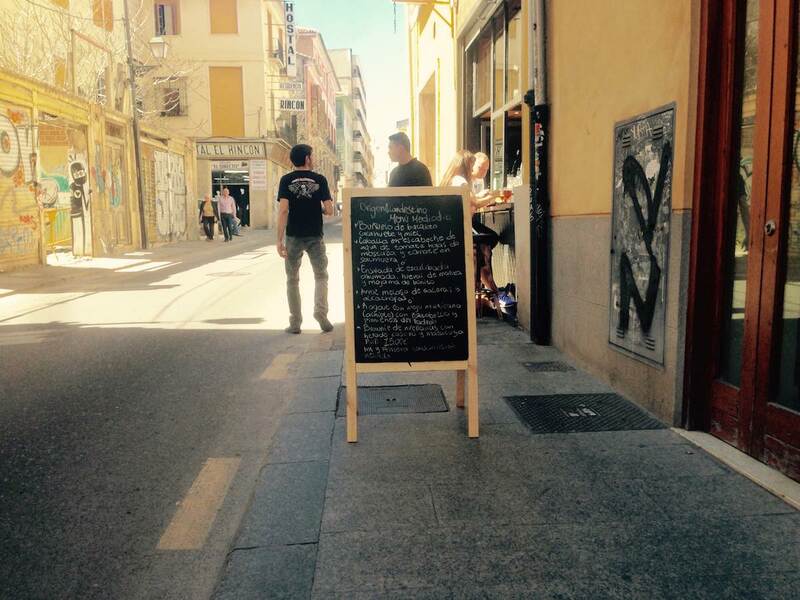 Nevertheless street conditions for walking are not optimal, modal distribution is in favor of motor traffic, minimal sidewalks where urban furniture, business bar seats, flower and tree pots are some of the obstacles that make them narrower. 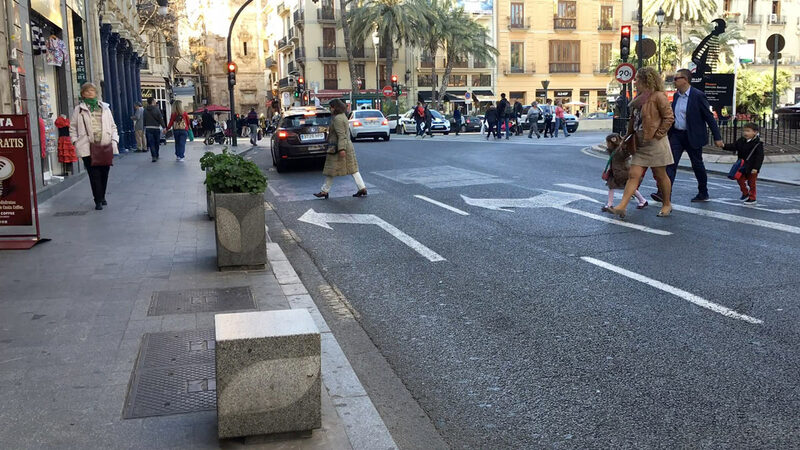 Pedestrian paths designed can be labyrinthine in order to keep traffic flow, zebra crossing as far as 256m-350m in inner arteria or 300m in Paseo Alameda St. Security and accessibility are called to be improved in many black points in city streets. Which are pedestrian needs? Which capacities have? Is the city doing well at basic requirements? and particularly to elderly and children ones? what about playgrounds? The lack of shaded paths, seats and many other considerations difficulties the experience of walking turning it into a continuous dodge of obstacles, turns for avoiding other people path, and this way reaching our destination without any mishap. The International Charter for Walking includes some principles and actions to improve walking conditions, we understand that the best way to check city conditions is asking the walkers. That’s why we invite you to participate making the list. Next link to the inquiry (in spanish) where you will find some points that make sense for us, you can rate them from your experience. It is also possible to add some you find important and are not listed from your knowledge or thoughts. Participate filling this inquiry:  encuesta. Thankyou for participating, City is built with everyone’s help. We are non profit association, we like city, citizens and boosting updates.